Seoul is an amazing and vibrant city that invites you to soak in the culture, enjoy their food, and shop all hours of the night. Korea now has a different meaning to me, it’s not just the place I was born, it’s where I experienced a different meaning of beauty. Beauty is all around us. Our soul recognizes and desires beauty. We do not merely want to see beauty...we want to be united with the beauty we see, …to receive it, to bathe in it, to become part of it. 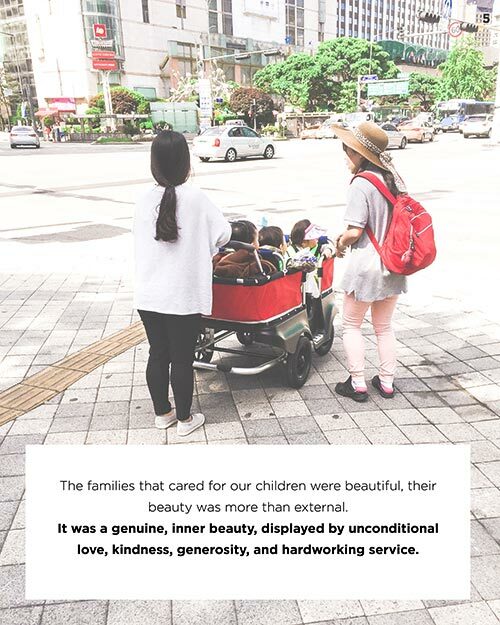 This is how Seoul Mamas created…a return to the country where I was born, where my children were adopted, this ultimately led me to see beauty differently. Three of our four children were adopted from Korea. The families that cared for our children were beautiful. Their beauty was more than external. It was a genuine, inner beauty, displayed by unconditional love, kindness, generosity, and hardworking service. With each trip to Korea, I loved exploring and watching people; especially the women of Seoul. I was amazed at their gentle smiles, and how flawless their skin looked and wanted to learn more. Protecting skin from the sun is a big deal, women wore hats, even gloves and used fans. I knew there was more to their beauty than protection. I wanted to pass that secret on to my daughters and friends. Korean skincare products are known for innovation, unique natural ingredients (to Westerners), and multi-step regimens. In Seoul, and beauty stores are on every block. I loved shopping at the different skincare stores and bought another suitcase to bring my finds all home! Back in St Louis, I gave the Korean skincare products as gifts. One of my favorite products were the sheet masks, and my friends loved them! Seoul Mamas mission is to curate beauty products that help women take care of themselves like a treasured possession. When we feel beautiful, we do beautiful things. Korea is known for their amazing beauty products for your skin, but as I think on my personal experience - I want to share more than external beauty...Soul beauty or precisely, Seoul Beauty. 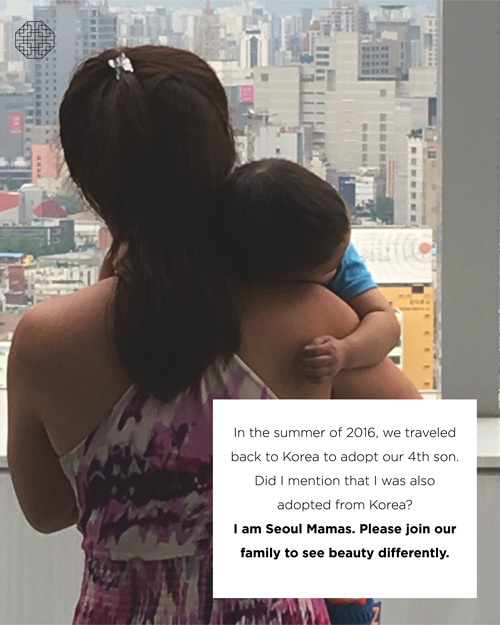 In the summer of 2016, we traveled back to Korea to adopt our 4th child. Did I mention, that I was adopted from Korea? I am Seoul Mamas. Please join our family to see beauty differently.